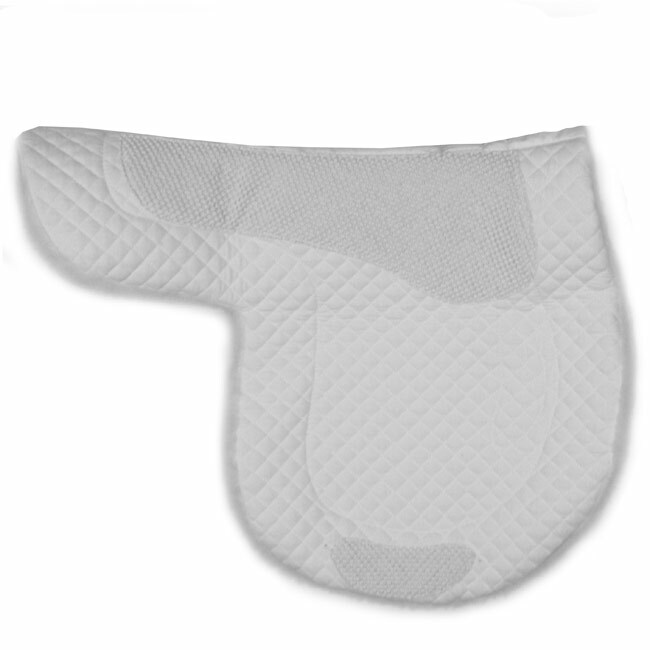 Do you have trouble keeping your saddle pad in place? Does it constantly shift around during an all-day show or even during a long leson, making you fix it time and time again? Well, Wilker’s Olympic Gripper Pad has the newest technology combined with traditional pad materials to give you a one of a kind, no slip, and super close contact saddle pad. 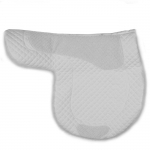 It has a quilted flannel bottom portion of the pad that wicks away sweat that has been improved by the addition of patches of “gripper” material in strategic places so that the pad is slip free. The fleece edging of the Olympic Gripper Pad allows you to center your saddle on the pad and have it stay put. 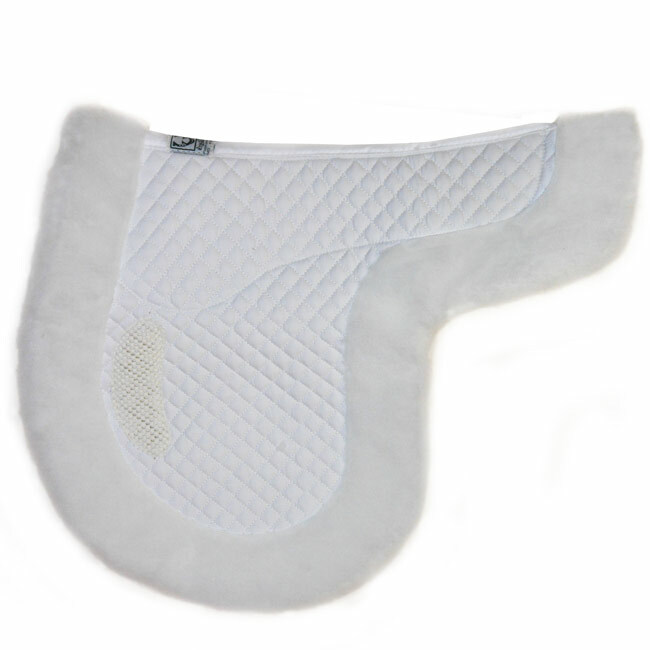 Last but not least this English show pad has a contoured spine, making it comfortable for your horse. You will not find a pad that has all of these bells and whistles wrapped into one like this beautifully thought-out Wilker’s creation.